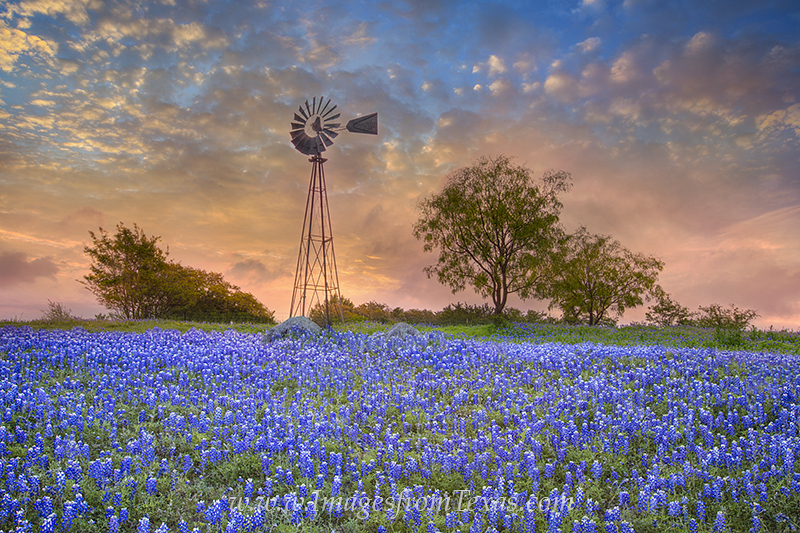 When I set off from my house to photograph this windmill with a foreground of bluebonnets, the sky was overcast and fog made visibility quite limited. I arrived with the sky pretty dark but still had 15 minutes until sunrise. I had just about given up hope when I noticed a little break in some low drifting clouds. Five minutes passed, and suddenly the sky begain to light up in oranges and pinks, and I was escatic with my good fortune. I only had time to capture a few images from that morning. This is my favorite. Photo © copyright by Rob Greebon.